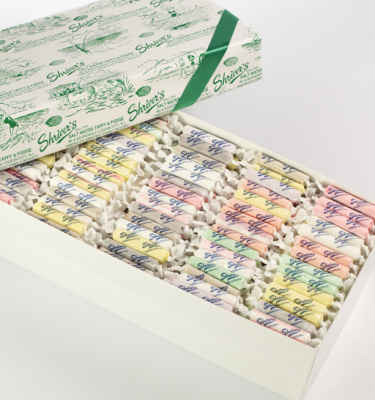 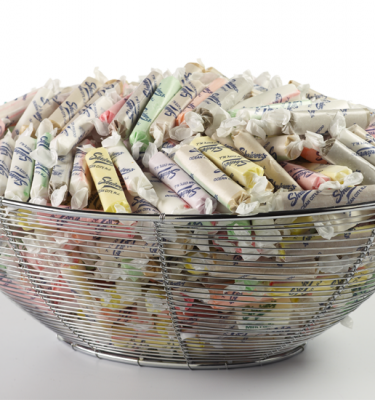 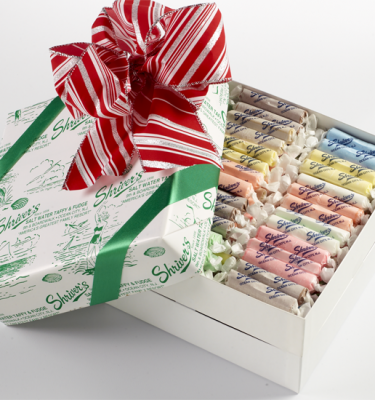 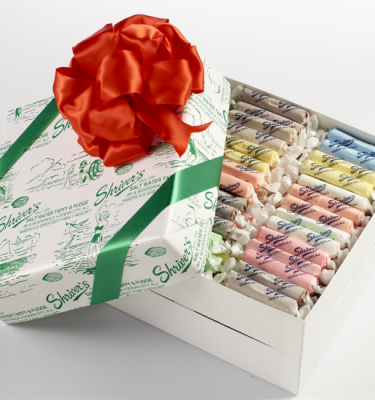 For those with a taste for variety, this Salt Water Taffy Box comes with one pound of our special flavors and one pound of gourmet flavors. 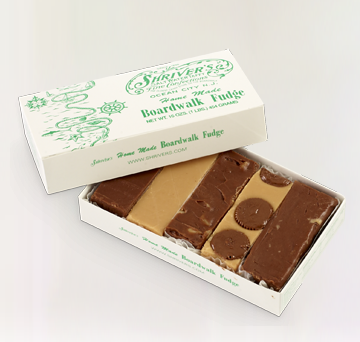 Special Flavors include, but are not limited to: Creamsicle, Watermelon, Chocolate Peanut Butter, Sour Cherry, Root Beer, Blue Raspberry, Strawberry Banana, Coconut, Bubblegum, Peach, Sour Apple, and Sweet Cherry. 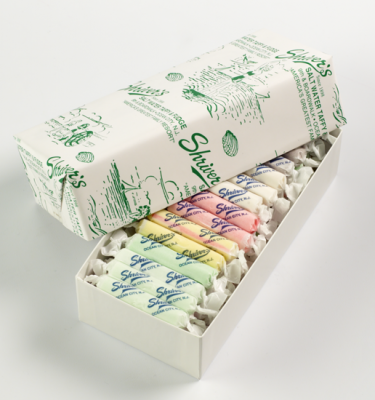 Gourmet Flavors include, but are not limited to: Tangerine, Mango, Spicy Pumpkin, French Vanilla, White Cranberry, Blueberry and Sweet Cherry. 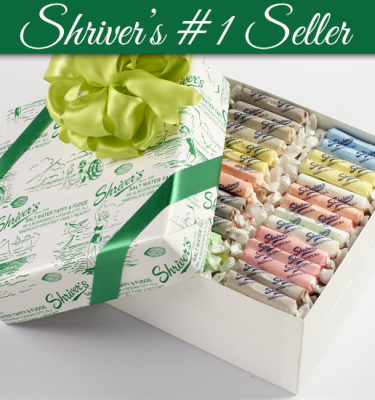 Note that gourmet flavors are seasonal, so please call regarding availability of particular flavors. 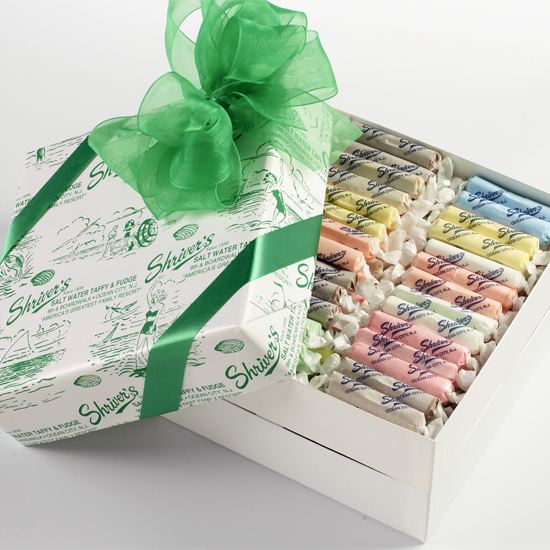 If you would like to choose your own flavors, please click here.